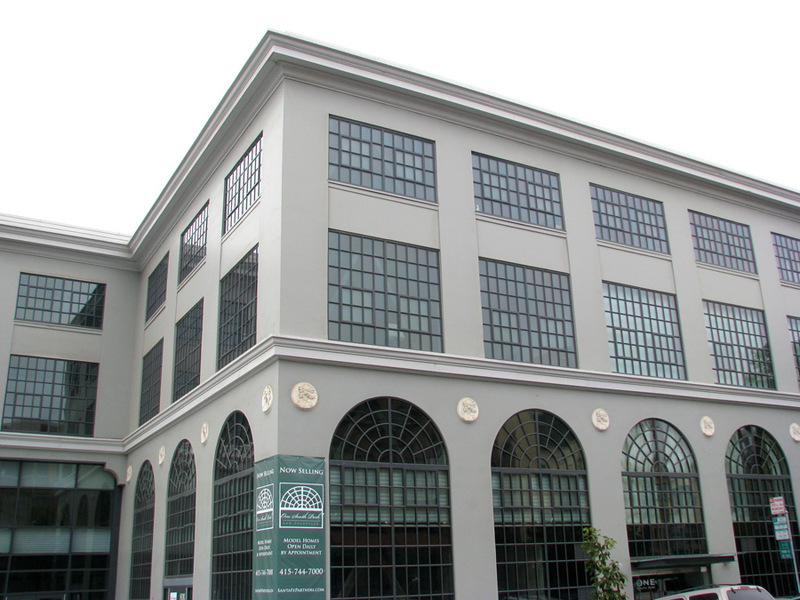 One South Park demonstrates the adaptive reuse of an early 20th century commercial building, which was renovated and remodeled for contemporary housing. The original reinforced concrete structure was used for trading and manufacturing and included a raised floor and railway spur at the front of the building. Murphy Burr Curry, Inc.'s plans called for lowering the first floor to grade and removing columns to incorporate a new second floor, with a parking garage beneath. The roof level was rebuilt and a penthouse was added. The seismic retrofit system consists of structural steel braced frames at the exterior window walls and concrete shear walls on the property line walls. The result is a unique, modern housing development that retains its historic architectural heritage.